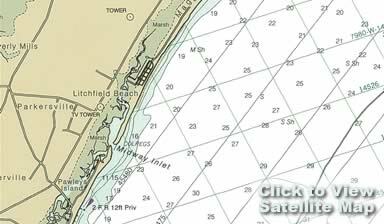 Just a nudge north of Pawleys Island sits Litchfield. Nicely sandwiched between the historic Waccamaw River (more modernly known as the Intracoastal Waterway) and the Atlantic Ocean. A place of old rice plantations and marshlands that still exudes a natural sense of peace and quiet. A place that draws some very interesting people. Like, the Huntingtons. Archer and Anna knew a good thing when they saw it -- way back when, in the early 30's. Here they found the perfect place to plant, and be inspired. And create one of the most extensive and impressive outdoor sculpture gardens in America. Brookgreen Gardens, a non-profit institution. One of America's undiscovered gems. Litchfield is grounded in nature, still. And thankfully, not directly on the beaten path. It's a happy medium - far enough away. Close enough, for when the mood strikes. (About an hour north of Charleston, 25 miles south of Myrtle Beach.) What better place for your family's vacation beach home?